We’ve purveyed the finest Brooklyn chocolatiers to find these perfect confections. 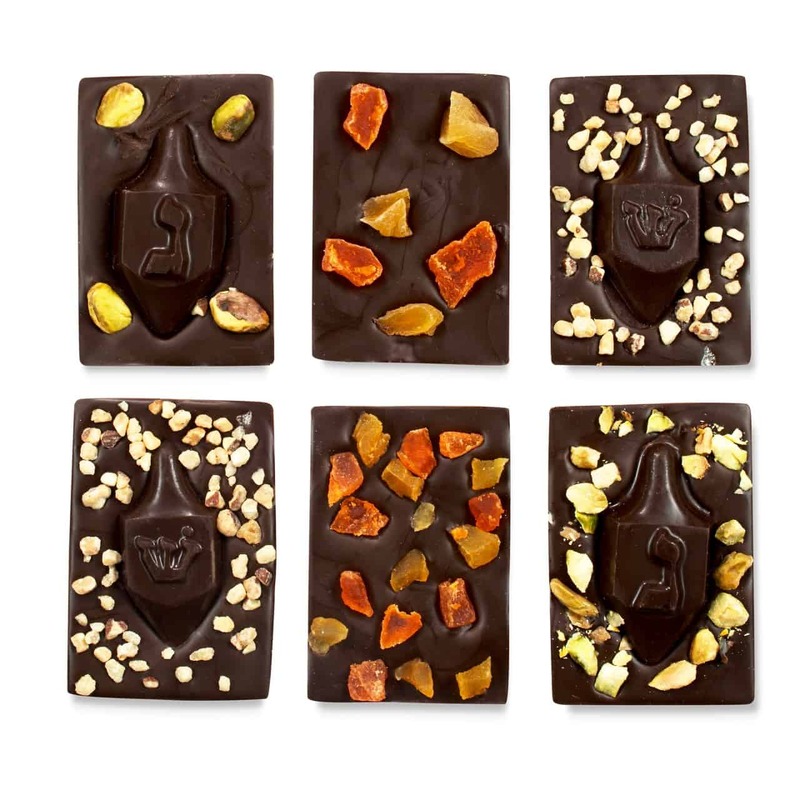 Each piece of handcrafted bark is layered with gourmet fruits and nuts and topped with a chocolate dreidel. Set of six pieces come wrapped in an elegant Kraft gift box.